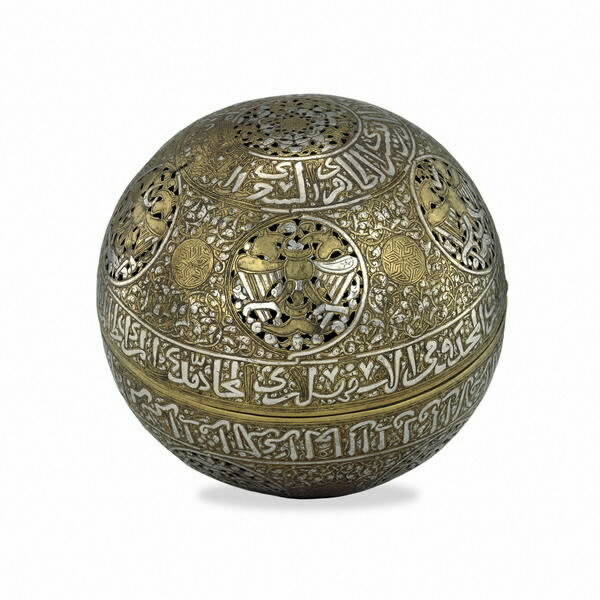 Description: This incense burner was made in Damascus, Syria, between 1264 and 1279. 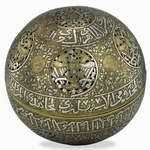 Made of pierced brass inlaid with silver, it bears inscriptions in Arabic which give us the titles of the owner. 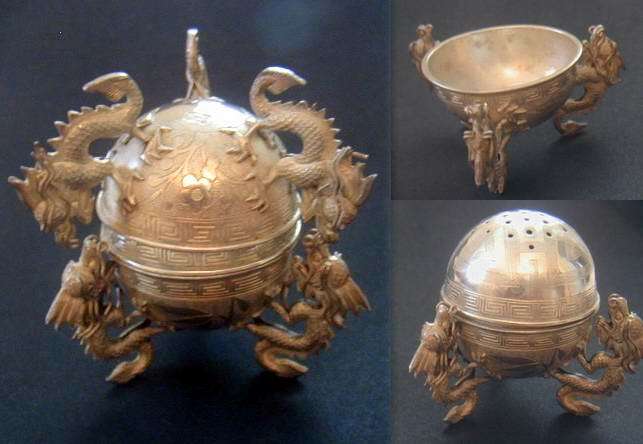 "Made for the honourable authority, the high the lordly, the great amir, the esteemed, the masterly, the holy warrior, the defender, the protector of the frontiers, the fortified by God, the triumphant, the victorious Badr al-Din Baysari....."
Description: The base and lid are stamped in script form chinese. 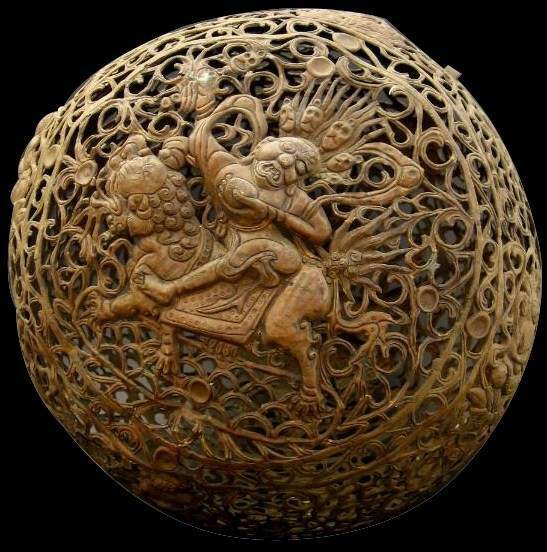 reffering to "tai shan", sacred mountain near beijing. 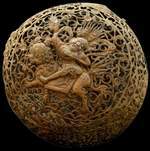 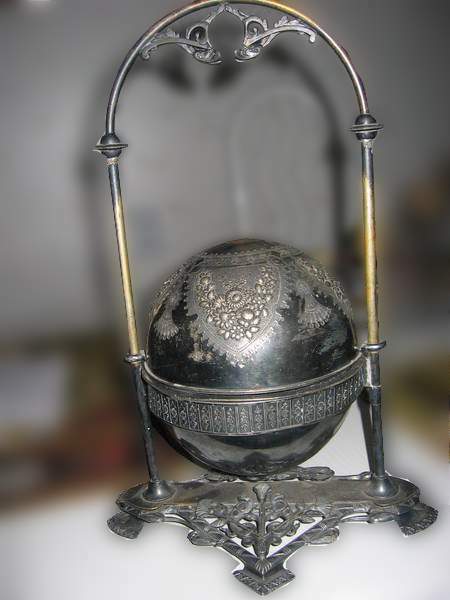 it has a height of 2 3/8"
Spherical incense burners, few of which have survived, were hung from the ceiling or from the vault of an arch, and the ingenious system of gimbals (also called cardan joints) inside the sphere stabilized the burning incense in the swinging container. 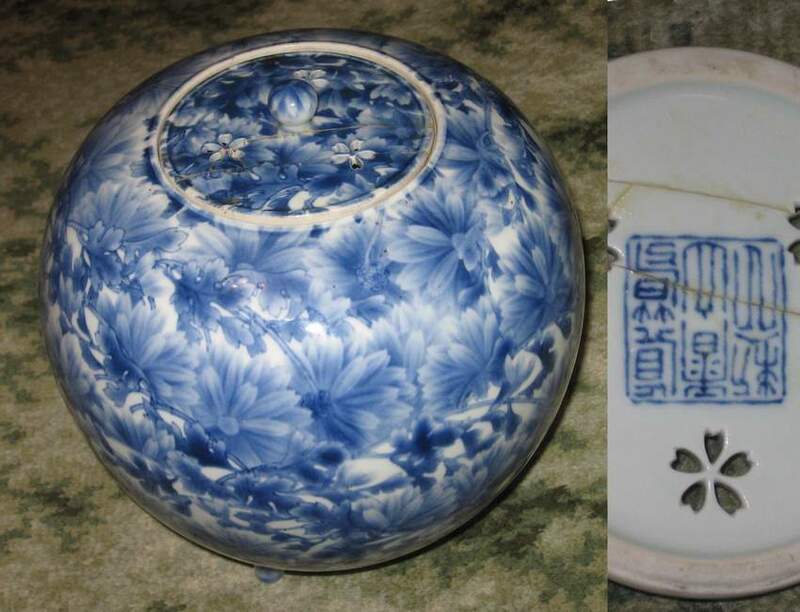 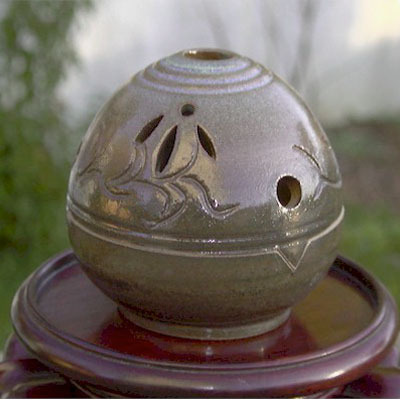 Description: 20 cm diameter spherical incense burner. 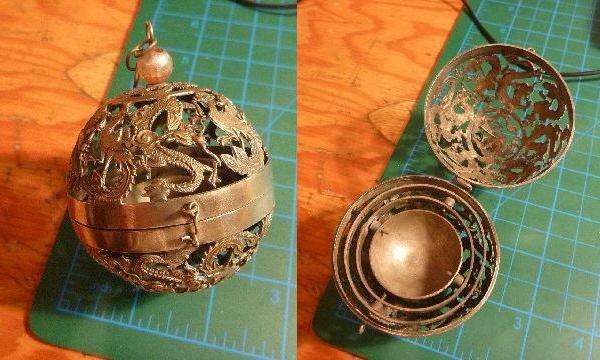 Description: It is very heavy brass and the pieces entwined together there are no marking that I have seen .It used to have coral and jade in it but over time they have been lost. 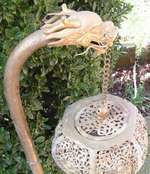 It stand about 4 feet in height . 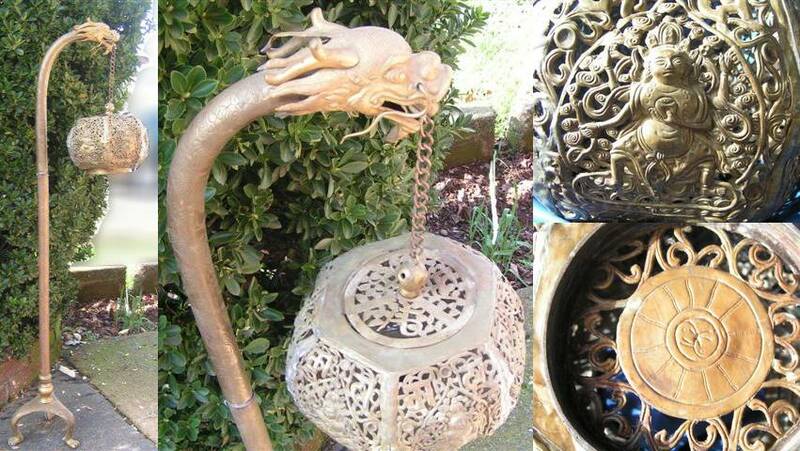 3 legs of the bottom of the base and the dragon wraps around base of the pole with design to the top .The basket that hangs from the dragons head has 6 buddas each one is different and then a skull on the top of that. 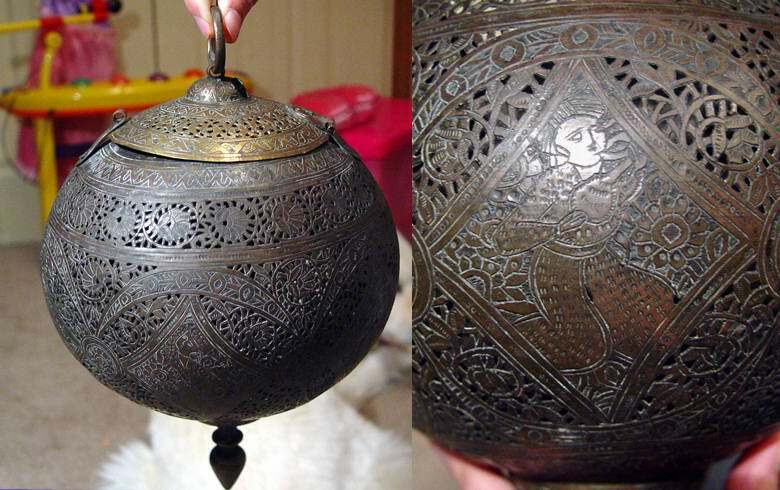 Description: Incense burner approximately 9" wide and 10" high. 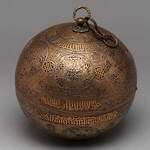 Description: Nicely decorated metallic sphere, with carying support. 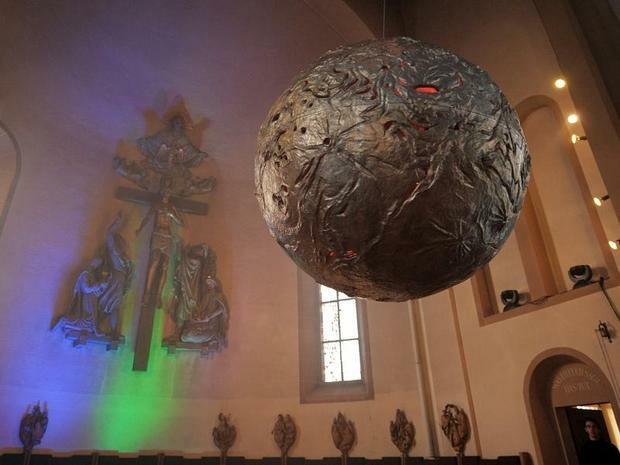 Period: 2010 Location: St. Jodokus Church, in Waghäusel. 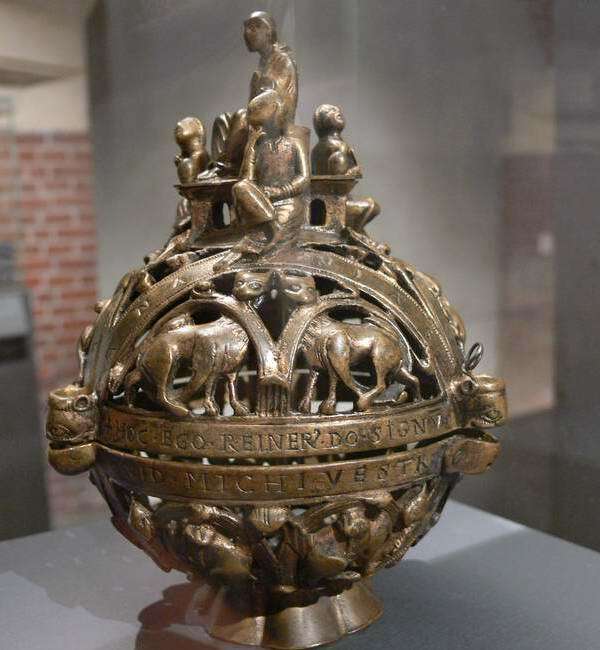 Description: Giant church spherical incense burner (1.4 meter diameter), made by Otfried Kallfass from Freiburg. 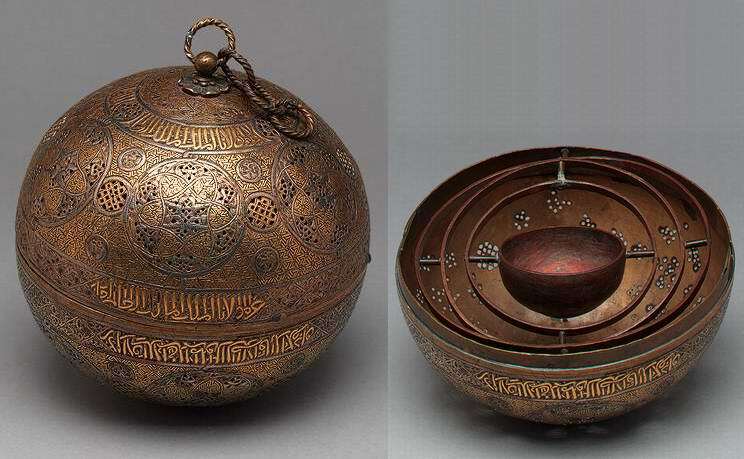 Description: This transportable and rotatable censer belongs to the Diözese of Würzburg. 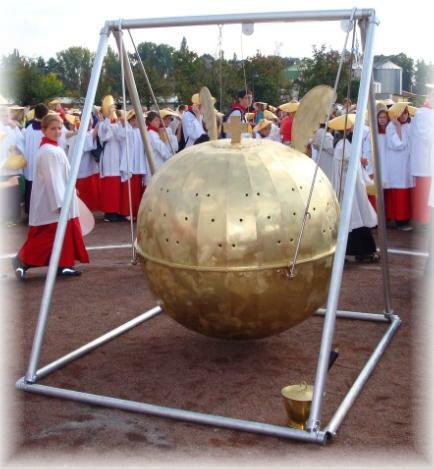 The 2.05 m in height and 1.75 m wide frame holds a 1.20 m diameter sphere, with a weight of 96 kg. 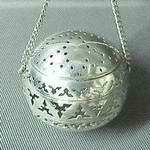 Description: Spherical incense burner with an internal gimbal mechanism to ensure that the attached small incense cup will remain upright. 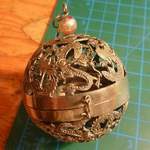 The animals on it are dragons and phoenix. 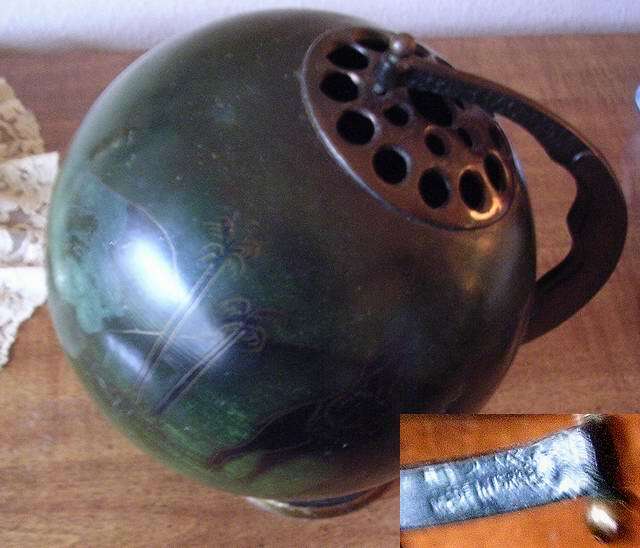 Note that, in China, the Han Dynasty (202 BC – AD 220) inventor Ding Huan created a gimbal incense burner around AD 180.
see item #278 for reference.